Pure Castile olive oil handmade soap is unscented, extra mild and gentle for every skin type, including dry or sensitive. Ideal first baby soap. Use in the shower or bath. Safe on the face or body for children teenagers or adults. Castile Natural Handcrafted soap has virgin olive oil that contributes wonderful, mild and gentle properties to this handmade, artisan soap. It has no scent or fragrance, just a touch of natural green clay. It is vegan as it has no animal products. I have included just a small amount of castor to give you small, creamy and silky bubbles. This soap is wholesome, simple and natural. It is suitable for babies, children, teenagers or adults. Castile soap makes an excellent facial soap. Castile soap is best when cured for longer period of time. This batch has been curing for over 4 months. I use the time-honored cold process method and prefer not to gel or cook the soap to keep the goodness of the olive oil. Did you know that Castile soap has been made in Spain since the 14th century? Castile soap has a long history and uses for sensitive skin. This is the most gentle soap that I carry and use. This soap is pure natural goodness at its best. It retains all the goodness of glycerin which is beneficial for your skin. Virgin olive oil with just a touch of castor creates long lasting, non drying, mild and hard soap with silky and creamy lather. 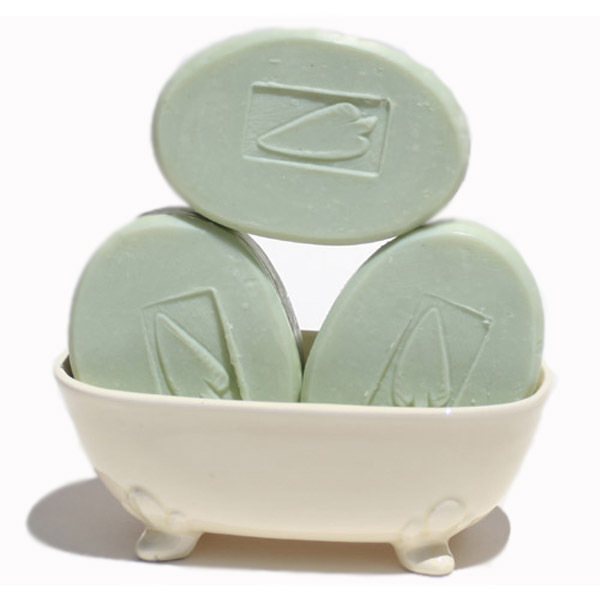 Castile soap does best if kept in a draining soap dish, out of standing water puddles and let dry between uses. It will last longer this way, due to the natural glycerin. Each soap is oval to make it easier to hold Treat yourself to this luxurious bathing experience. Ingr: Virgin olive oil, sodium hydroxide, castor, clay. No fragrance or color.